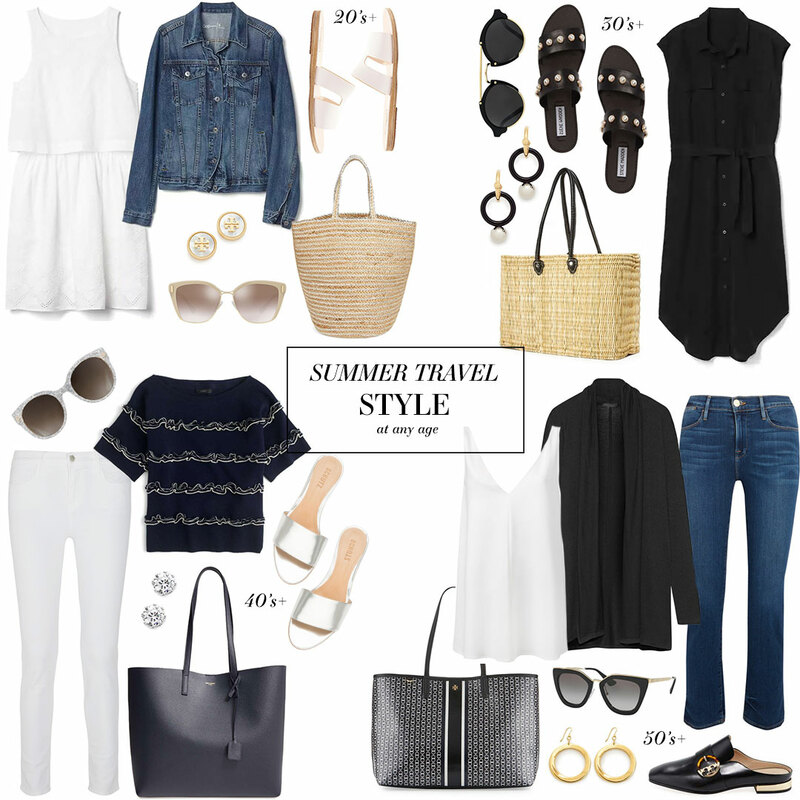 With another holiday weekend upon us and hopefully several more summer vacations around the corner, I thought it would be fun to share some travel style inspiration for every age. To be honest, I’ve worn a similar look for every age group featured here. They are all so timeless, comfortable and chic! The key to passing through airport security like a breeze is to wear shoes that slip off easily. Nothing’s worse than having to bend down to untie shoes, release sandal straps and tug at boots when dozens of people are waiting behind you! Luckily, this season there is no shortage of slip-on sandals and mules. Finally, a trend that actually works in your favor! Shop each look in the text section above! I am loving that black shirtdress. I feel like that would be perfect for work too!